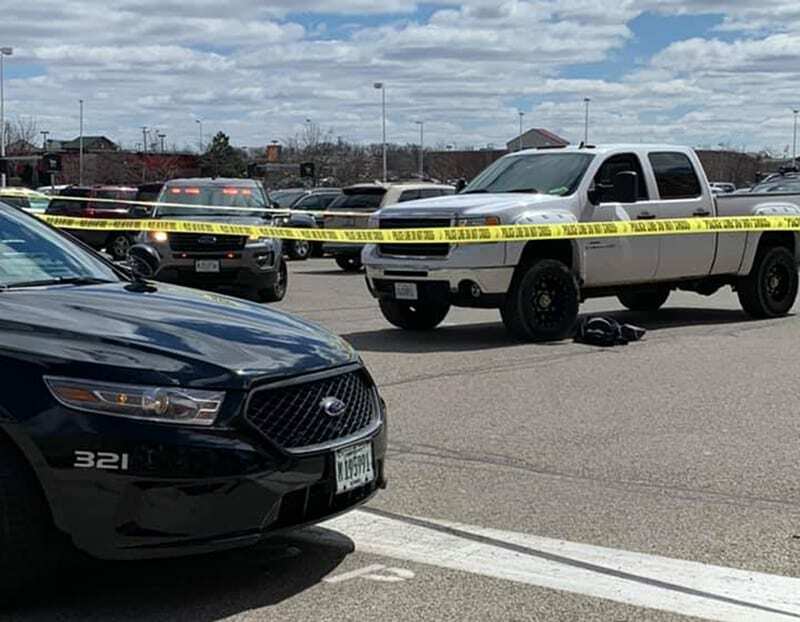 Police investigate after a pedestrian was struck in the parking lot of the McHenry Home Depot | Photo by Jennifer Lynn Pavlik. A man has died after being hit by a pickup truck in the parking lot of a Home Depot in McHenry on Sunday. The McHenry Police Department and McHenry Township Fire Protection District were called around 12:40 p.m. Sunday to the Home Depot, 2461 North Richmond Road, for a report of a pedestrian struck by a vehicle. Emergency crews found a man, whose identity has not yet been released, with serious injuries after being struck by a white GMC pickup truck near the front entrance of the building. Paramedics transported the man by ambulance to Northwestern Medicine McHenry Hospital and a Flight For Life helicopter transferred the man to Advocate Condell Medical Center in Libertyville. On Monday, McHenry police said that the man had died. The Lake County Coroner’s Office has scheduled an autopsy. The crash remains under investigation by the McHenry Police Department, who added that the driver of the truck was not believed to be impaired by alcohol or drugs at the time of the crash. No other information has been released by authorities.